Dr. Abhijeet Palshikar is a senior consultant cardiologist based in Pune. With more than 15 years of experience in interventional cardiology, he is the leader in cardiology field in Pune. Trained under Dr. D B Pehlajani, the cardiologist who performed first angioplasty in India, Dr. Palshikar is keeping up with the latest development in the field. Besides being head of the department of cardiology at Sahyadri Hospital, he is director of the cardiac cath lab at Sant Dnyaneshwar and Deoyani Multispeciality Hospital. In addition, he is attached to Ruby Hall Clinic, Poona Hospital, NM Wadia Hospital, and Jehangir Hospital. 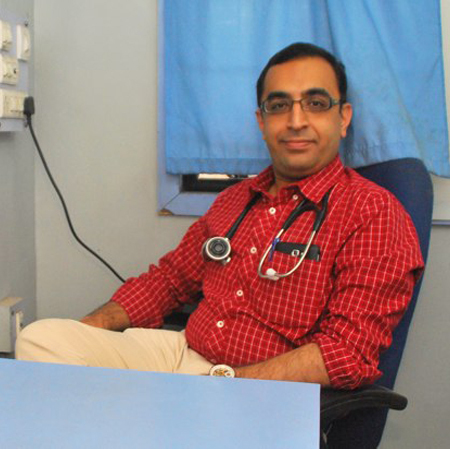 He has treated 6000+ cases and 2500+ interventions in freelancer practice. Dr. Palshikar specializes in complex angioplasties and various cardiac invasive procedures. Dr. Palshikar is a national faculty for the national interventional council, and a fellow of the European Society Of Cardiology, American College Of Cardiology and visiting fellow at Pederzoli Hospital, Verona, Italy.